The Mobile Engineer: [steel hd]. 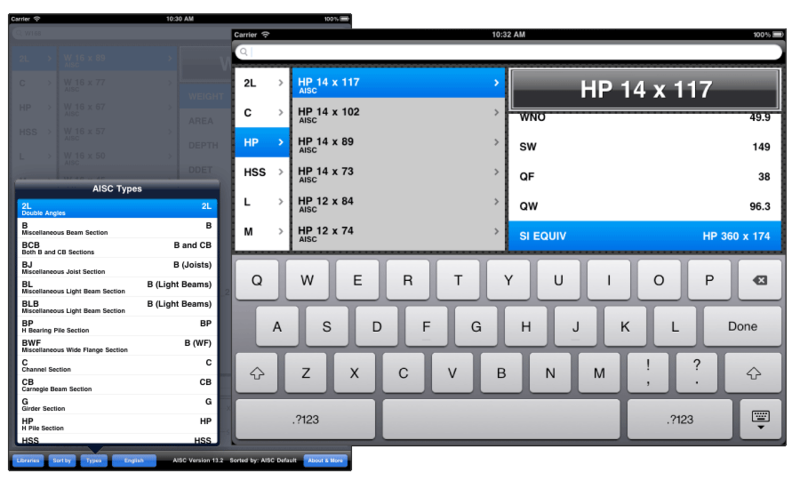 [steel hd] for ipad is the combination of all our structural steel reference apps available for iphone. It combines all libraries from [steel], [steel] Canada & [steel uk], adapted for the ipad's spacious screen. 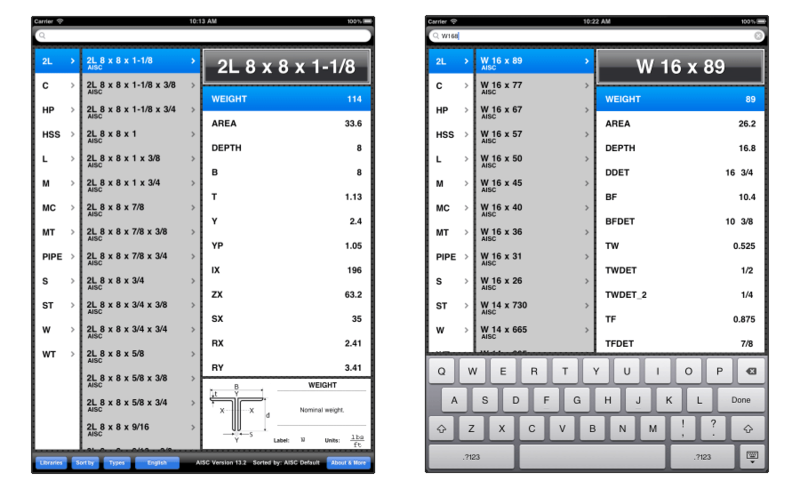 • FULL USE OF SCREEN REAL ESTATE: no need to switch between designations / details / library switching and sorting pages as in the iphone. All information and features are immediately accessible from the main screen. - LRFD 1st through 3rd Ed. - ASD 6th through 9th Ed. 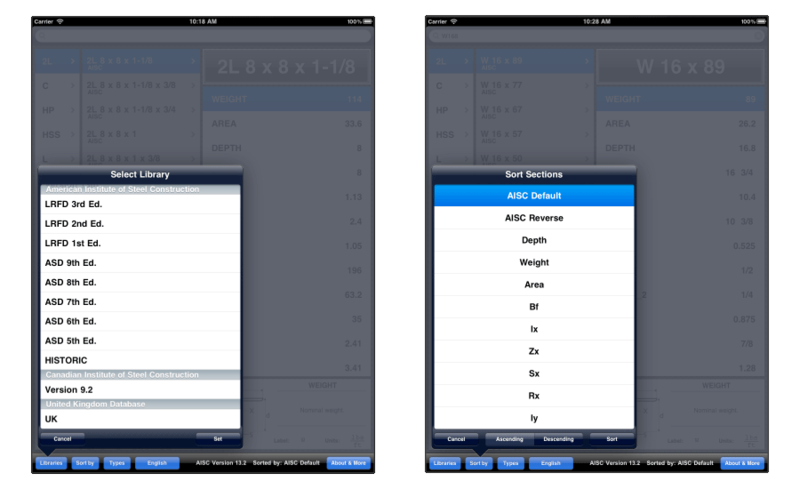 Properties can be displayed in either their original units (English for AISC libraries, Metric for Canadian and UK) or converted to the opposite system with the click of a button. QUICK SEARCH: [steel hd] lets you find a section with a quick search function, where, for example, "W16 x 89", "W16x89" or simply "W1689" will locate the same section or its closest approximation.